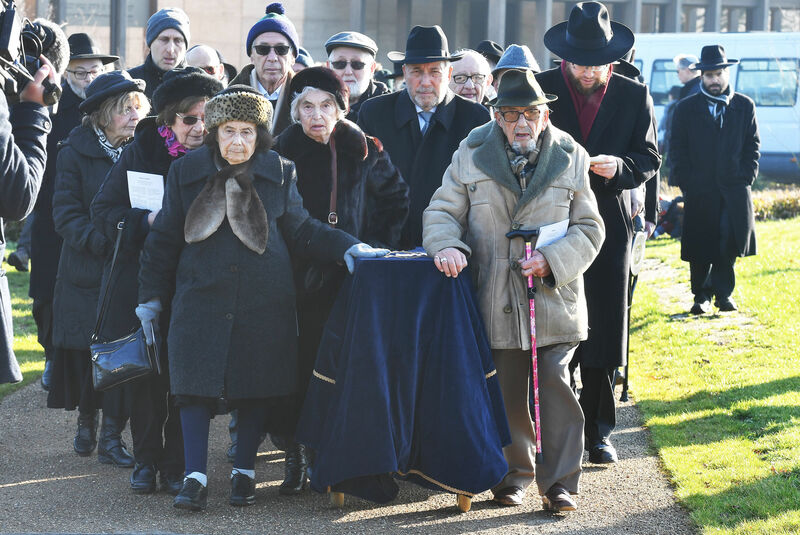 Survivors escorting the coffin containing the remains of six Holocaust victims to their grave at Bushey New Cemetery. 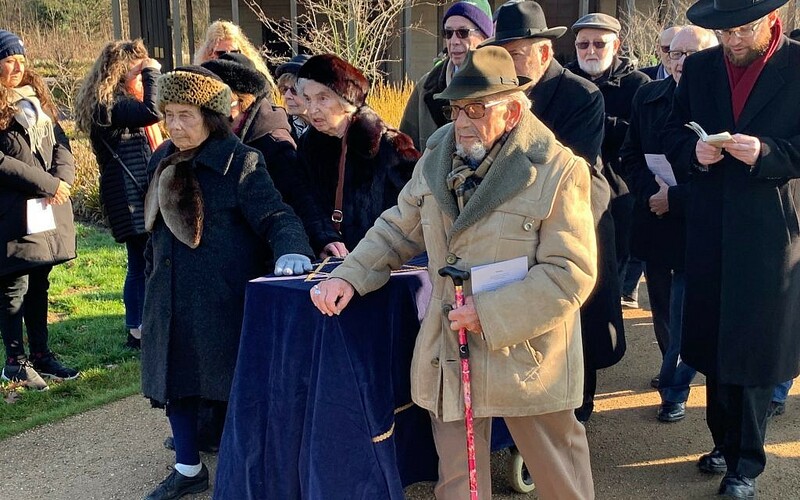 Each mourner had their own profound reasons for being at the United Synagogue’s New Cemetery in Bushey on Sunday morning to witness the burial of six unknown Jews murdered in Auschwitz. 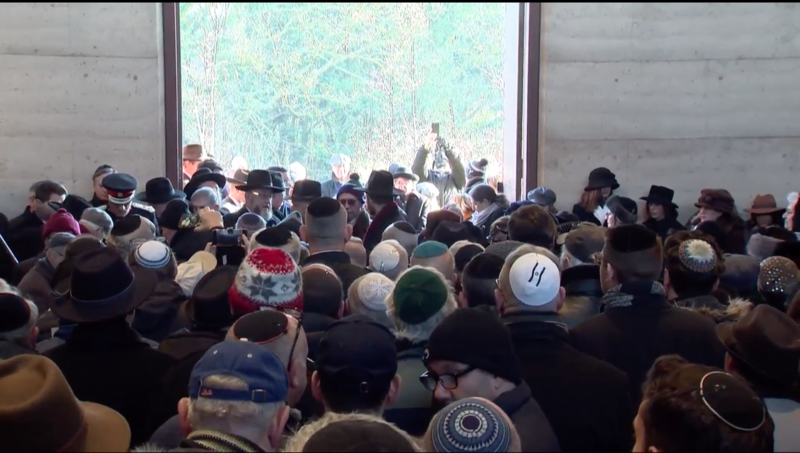 Others among more than 1,200 mourners, inside two overflowing prayer halls and outside in the chilly January air, were there to bear witness to a momentous moment in post-Holocaust history – Britain’s first public funeral for Shoah victims. The remains had been stored for two decades by the Imperial War Museum after being donated by an unnamed individual – believed to be a survivor. 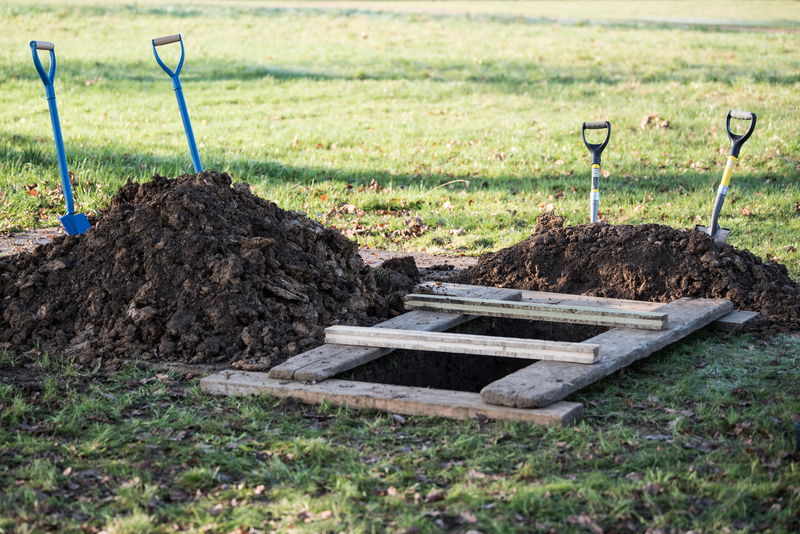 After testing confirmed they were adult and child remains, the museum contacted the Chief Rabbi who recommended swift burial. Attendees, including the Archbishop of Westminster Vincent Nichols, Israel’s Ambassador to the UK Mark Regev, Communities Secretary James Brokenshire, Sir Eric Pickles and Lord Lieutenant Robert Voss as the official representative of the Queen, heard Dayan Ivan Binstock begin the service with a specially written eulogy entitled Six Of Our Millions. 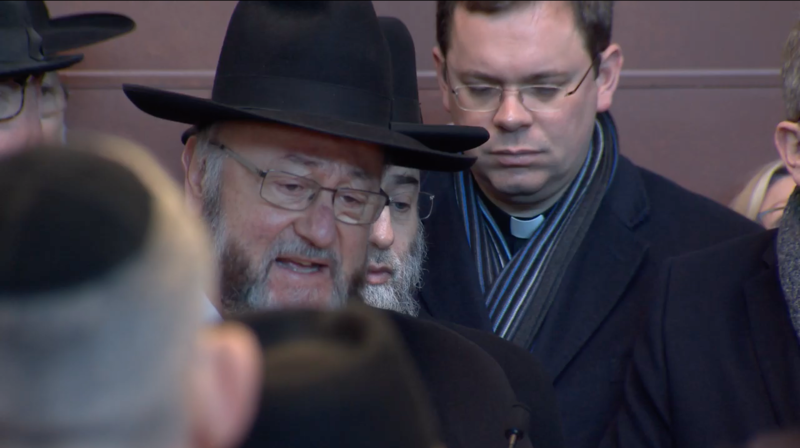 Chief Rabbi Ephraim Mirvis speaks personally to the child victim during the service. In a deeply poignant address which moved many to tears, Chief Rabbi Ephraim Mirvis spoke personally to the infant among the six, saying: “Your childhood was robbed. You experienced such fear and dread, then the ultimate wickedness saw your life taken. We don’t know who you are, your name, if you were male or female or the details of your family. But we do know you were Jewish. All of us here feel a strong connection to you. Funeral of unknown Holocaust victims, Bushey New Cemetary, 20th January 2019. (C) Blake Ezra Photography Ltd.
One of the two prayer halls used for the service at Bushey New Cemetery on Sunday morning. 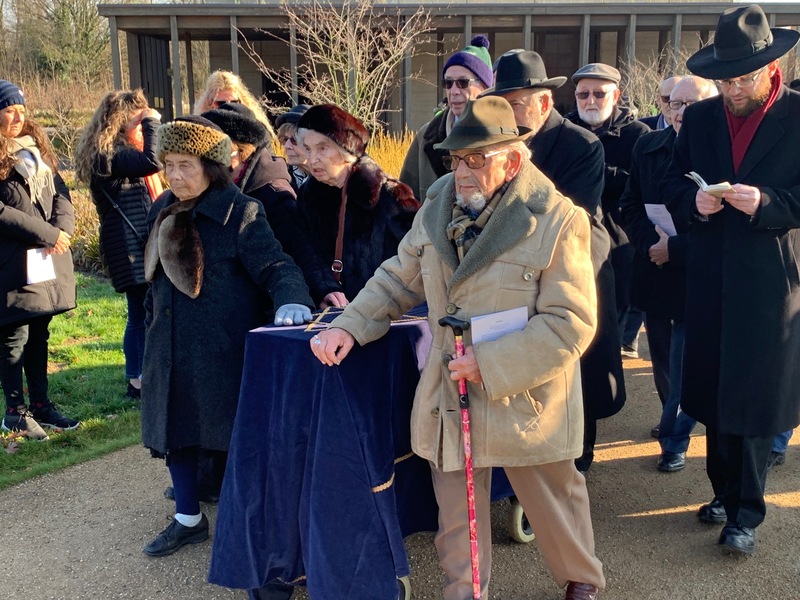 Following the 45-minute service, which was introduced by Doreen Samuels, chair of the United Synagogue Burial Society and movingly conducted by Rabbi Nicky Liss of Highgate Synagogue, mourners followed survivors, including Zigi Shipper, Harry Bibring, Renee Salt and Agnes Grunwald-Spier, to the grave site, where the remains were buried in earth from Israel. A memorial garden will be built on the site. Steven Wilson, Chief Executive of the United Synagogue, said: “Like many of the 1,200 attendees of the funeral, I looked at the coffin and wondered whether they might contain the remains of any of my relatives. Our Belgian cousins, Hermann and Albert Schindler were murdered by the Nazis at Auschwitz. Was the Chief Rabbi addressing them in his hesped? “I took comfort from the response of one of the survivors. She was, understandably, distraught just before the burial. When my colleague spoke to her afterwards to check how she was doing, the survivor was transformed. She said that she had actually found it a positive experience because knowing that some of her friends had had a Jewish funeral took some of the weight she was feeling off her. It was an extraordinary response to an extraordinary day, a Kiddush Hashem and perhaps the ultimate chesed shel emes. More than 12,000 people have viewed the ceremony on YouTube.